Sir Paul had nearly forty years of policing experience. He joined the Warwickshire and Coventry Constabulary and subsequently served in West Midlands, Northamptonshire, Kent and Suffolk. 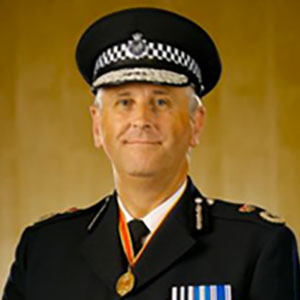 He is the former Chief Constable of both Suffolk and latterly West Midlands. As one of the senior leaders of the Police Service Sir Paul has worked closely with Government and Local Authorities. He served as a member of the Governmental National Counter-Terrorism Board and was Vice President of the Association of Chief Police Officers. Sir Paul sat as an independent Assessor supporting Lord Justice Leveson in the Inquiry into the culture, practice and ethics of the press.